I had not the faintest clue that my last week’s article on Sir Abubakar Tafawa’s Balewa’s 1961 visit to America would generate this much interest. It’s been attracting quite a lot of visits to my blog and eliciting passionate responses from all sections of Nigeria—and beyond. Find below a sample of the reader responses I’ve received—and continue to receive— by email, Facebook comments, and reactions on my blog. Enjoy! The video of this historic visit has been playing and replaying in my mind since I watched it a few weeks ago! I woke up thinking about this same video and telling myself that President John F Kennedy must have fallen in love with the "graceful ebony men from Nigeria waltzing all over town in their colorful robes"! And I'm now reading a note based on this same video! Farooq, I read your pieces whenever I want to learn new things, or re-learn old things in a new way. 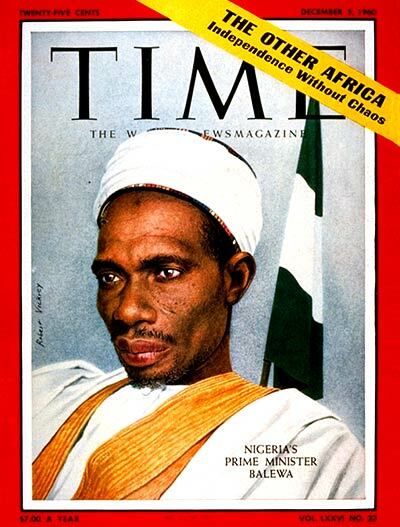 Thanks for this piece on Balewa, and the clip you shared on the almost-forgotten part of Nigerian history. I am confident you will not object to sharing your piece on my wall. Many more Nigerians have to be put on notice or be reminded that we were not always a nation ruled by the visionless, uncouth, ill-educated vagabonds like these crops of criminals in the corridor of power today. Compliments of the season to you. A pensive piece. This 'once upon a time' visionary leader does not need a lot of time for one to make a pertinent assessment of his achievements from a rational perspective. Electrifying, yes. I couldn't think of a better word to describe that speech and his other speeches, including his visit to then mother country, Britain. I'm supremely proud of those high moments of Nigeria's history. Coming from a family which played an active role in First Republic politics, I can report also that these leaders, in spite of their education, were well-read in Islamic and western philosophy. These leaders were princes who did not lose their heads. I’m always attracted to the history of the great leader of Nigeria, Sir Abubakar Tafawa Balewa. To me, no leader has ever done that which he has done. If for nothing, he had not gone on a looting spree. 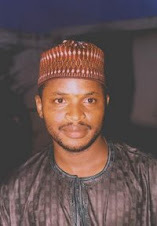 May his gentle soul rest in perfect peace. Amin. Prof., thanks for another piece. It's rather unfortunate that our present leaders who parade all sorts of qualifications make inexcusable and unpardonable blunders especially before international audiences cannot learn from legends like Tafawa Balewa. Worst, some myopic Nigerians, obviously out of misplaced sentiments, are rising to their defence. I almost burst into tears as I watch, with sincere nationalist nostalgia, that MOVING video! In it I saw the great but aborted prospects of post-colonial Nigeria through such compelling aura of diplomatic decorum accorded Balewa/Nigeria by a progressive leader, JFK, of a super power nation. Another interesting piece, Prof. Thanks for reminding us of what great leaders we used to have: selfless, matured, focused role models. If they were to come back and see the Nigeria they struggled and fought for today, they will definitely prefer to stay where they are. God help Nigeria, our motherland, and our unfocused leaders. Wow! Sir Tafawa Balewa was a leader Nigeria ALMOST had. It’s too bad that we lost this great man of honour too early. I wonder where Nigeria would have stood by today if it had been served and led by men of dignity like Sir Abubakar. We are grateful, Prof., for sharing this piece with us. It made me appreciate this great man’s "person," a total opposite of the so-called leaders we have now in Nigeria. May his gentle soul continue to rest in peace. I have always been fascinated by the confidence of our immediate post-independence leaders, as Balewa exuded in his American trip. Thanks for this excellent article, Prof. I hope our present-day leaders will stumble on this one day. While the Balewa era is filled by less certificated but confident, nationalistic and strong-willed officials, this era is riddled with opportunistic, certificatedly confused, parochially insular politicians who come to office by chance and innately lack the knack to act as kings! Remember that leaders are not those with the credentials but those with the concern. Hitler, Churchill, etc. were great and had made a difference to their people not by display of PhDs but by their unwavering commitment and deep passion for the best for their own. Prof. Farooq, every right-minded fellow knows how far our generation’s leaders are from being at par with their predecessors. Tafawa Balewa, to many victims of chauvinistic media reporting, was but a diminished regional champion, far from being a nationalist. But in actual sense when we keep sentiment aside, we would surely have no excuse for not celebrating the excellence of our past heroes, especially the first and only Nigerian Prime minister, the late Tafawa Balewa. Nebukadineze could not have said it better. It’s no exaggeration! It could happen, unfortunately. I have totally lost hope in Nigeria...one shameless 'leader' after another. Indeed, shameless leaders one after another....truth is we missed likes of the past leaders who can go anywhere with full of confidence to [represent] Nigeria.